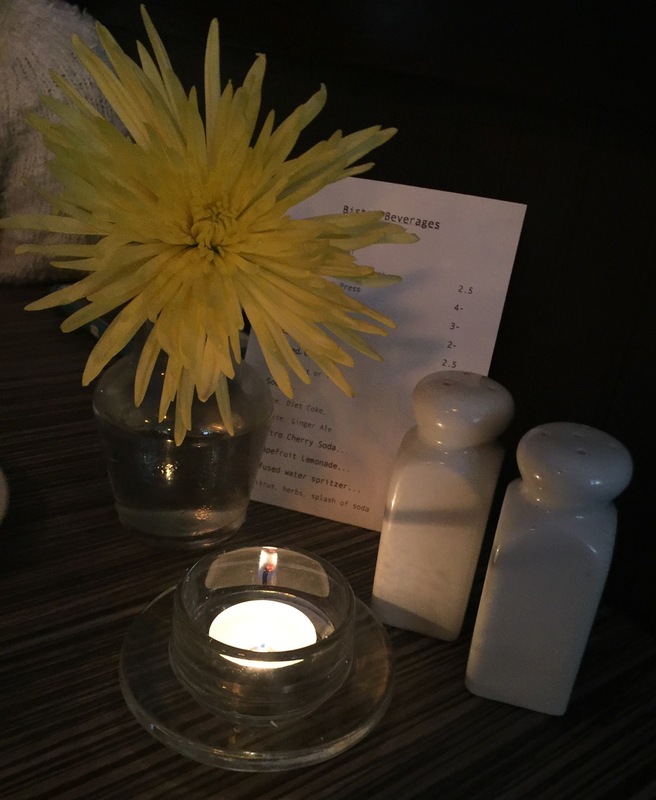 Looking for a new place to have a cozy, laid back, and delicious dinner in Gansett? Of course you are! Especially since this week is the unofficial kick-off of the Summer of '16. We made it to the Bistro last night (They're open Thursday thru Monday at 5 for dinner...Maybe, just maybe we'll stay overnight at the B&B this season and that'll be part 2. #staytuned) and true story, it did not disappoint. Pinky swear. Sure the weather could have been way better (It was, unfortunately, one of those off nights at the beach. A little Chilly, sweater weather, and definitely grey. Not a night to dine out on the porch, but for the record, they do have outdoor seating on their lovely, little veranda. #smalltownvibes), but we had nothing but high praise for both the food and the service. We kicked things off with some Dave's, one of the many RI based companies/farms on the menu, which hit the spot since we were all experiencing some delayed caffeine withdrawals. They also have wine and cocktails if you're feeling like a few drinks and clinks. (Note: It was Thirsty Thursday, but we did not indulge. You, on the other hand, could indulge and imbibe, then stay overnight...if you reserve a room.) 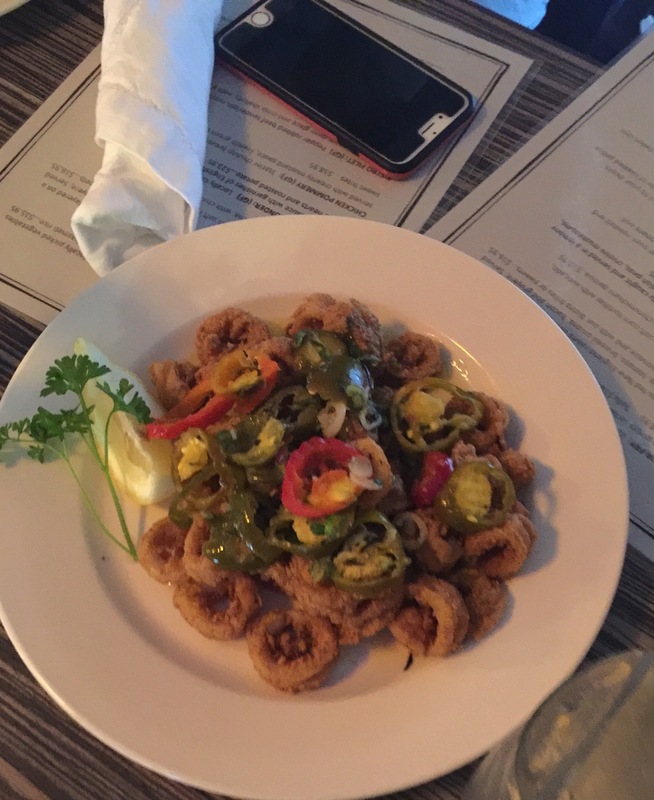 Next, we moved on to the calamari appetizer, mandatory when you're chowing down within walking distance of Narragansett Beach, followed by three mains - their burger (I sampled the thick cut fries and they were dangerously good! ), a risotto and shrimp, and a spicy veggie and rice dish. Gotta say that I could honestly become obsessed with TB&B because, like their sister eatery Crazy Burger, they offer scrumptious dishes for meat eaters and vegetarians alike, something that can be elusive once you leave Providence and venture out into other towns and cities around the state. (Add awkward stories about taking meat eaters to vegetarian restaurants and vice versa right here. Sigh.) And don't despair my gluten free friends! Happy to report that there were quite a few choices labeled GF as well. So, if you're looking for a beach house getaway, even if it's only for a few hours, grab your shades and the keys to the convertible (Don't have one? Make friends with someone who does pronto!) and motor on over to The Bed And Bistro.